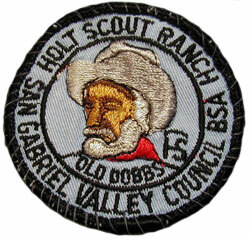 Holt Scout Ranch (San Gabriel Valley Council) was a Boy Scout camp located in the San Bernardino Mountains of California. The camp was named in honor of Herbert Brayton Holt on June 15, 1968. 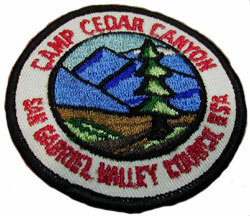 Prior to that time, the camp was known as Camp Cedar Canyon. Sometime during the 1970's, the camp was sold to a private party. This web site was created for those who camped at Holt Scout Ranch, especially the camp staff. During the summers of 1967, 68, and 69, I was most fortunate to be a member of the camp staff. Below, you will find links to some of my photographs taken during the summer of 1968. With the passage of time, I have lost some of the names of fellow staff members from my memory, but not the good times. I would like to thank Rick Hurd and Pat Willits for supplying the names of some staff members. I would be happy to hear from anyone who camped at Holt Scout Ranch, especially the staff. Please help me put names to the faces in my photos!